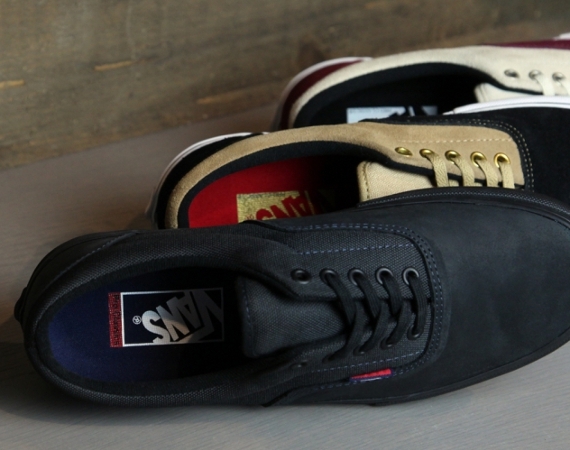 VANS Syndicate has just let loose with a few new colorways of the Authentic 69 Pro S for Spring 2013. Fitting in nicely within any sneaker collection, you have your choice of the kicks in a soft royal blue, cherry red, or black, each with a subtle checker print that blends into the rest of the monochromatic suede upper. The entire look pops between a snow white rubber sole and a black sock liner, while silver eyelets and a black ribbon for the heel accent provide a nice finish to the look. 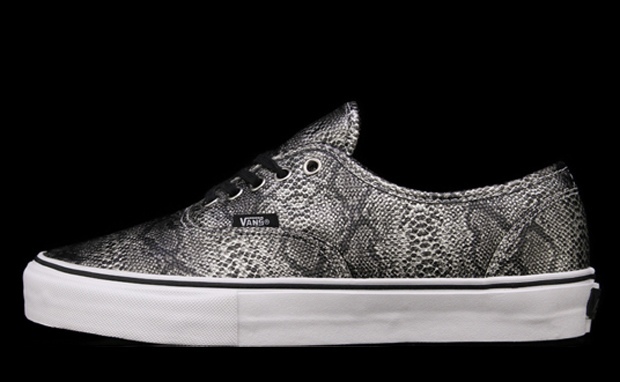 Vans has teamed up with legendary skate duo Jason Dill and Anthony Van Engelen for a safari themed pack of classics. 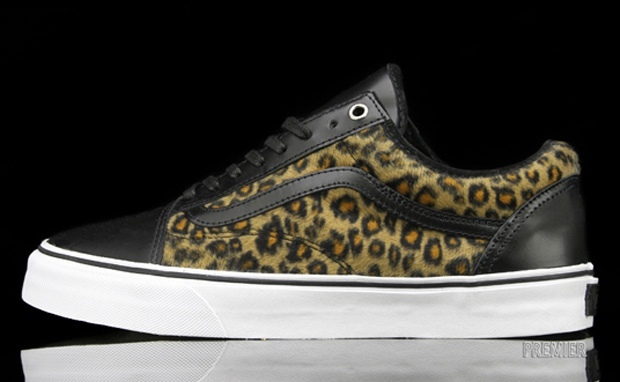 Featuring the Authentic Pro, Old Skool and Av Sk8 Low silhouettes, these three partners have created a ferocious collection that utilizes snakeskin, cheetah and leather throughout each respective upper. 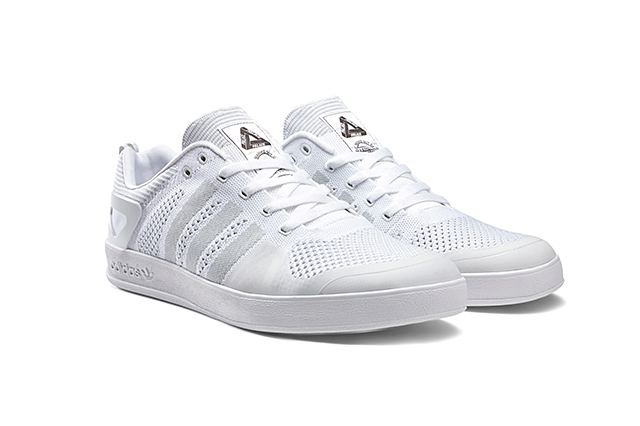 All three models are equipped with clear outsoles, special-edition packaging and a canvas bag. Look for this trio to hit select retailers in the very near future, but save me a 9 in the snakeskins! 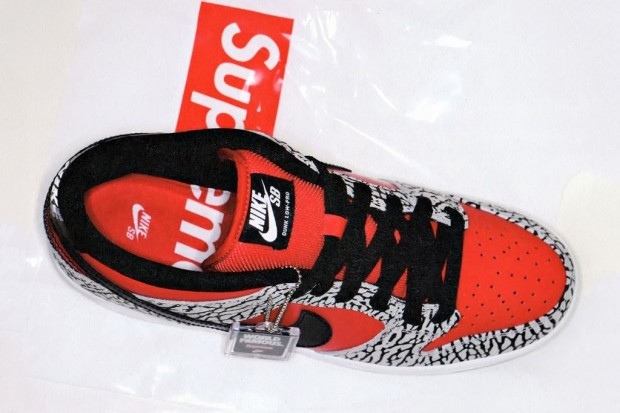 Another day another collaboration from Supreme. Once again, Nike is front and center as we see the return of a collaborative Supreme Dunk Low Pro SB model, marking the 10 year anniversary of the original Supreme Low Pro SB release. The cement print that was featured prior returns, complemented by a bright red leather upper and black swoosh. 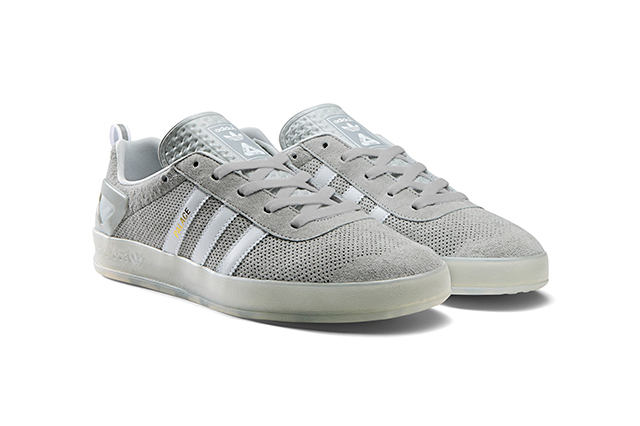 It is unknown if a second colorway will also be available. Set for a release in June, the Supreme x Nike SB Dunk Low Pro has been given a Japanese retail price of ¥13,650 JPY (approximately £130). An official US and UK price has yet to be announced. Watch this space for more images and details when they are available. 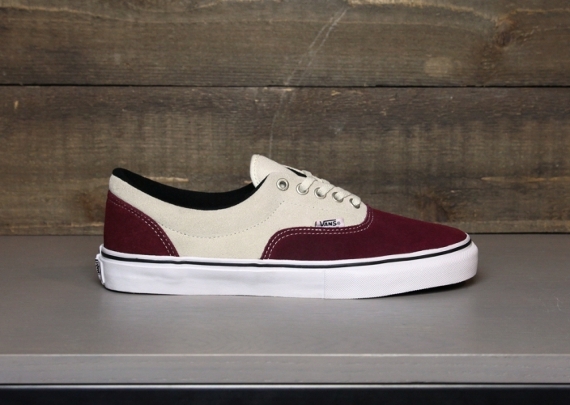 e Vans Era Pro is an updated version of the Vans classic, built to meet the performance needs of the Vans Pro skate team. The modifications aren’t a complete overhaul, but they improve the shoe where it counts, providing improved skate feel, cushioning and durability. There’s a new co-molded footbed with single density foam. 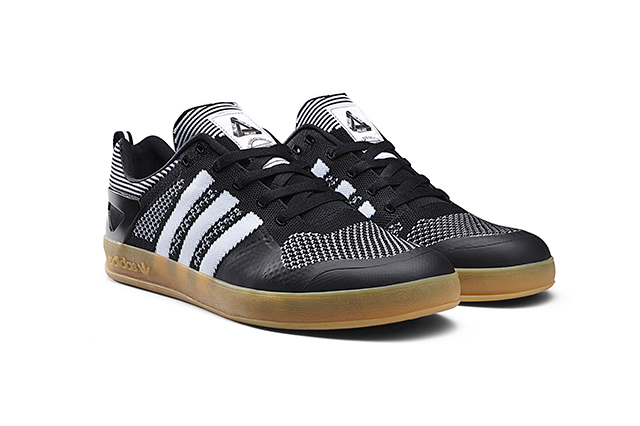 Skater or not these are still a nice update & colourways of the era. Nixon goes high end with their latest headphone releases for the Spring. First up is the RPM, a DJ-style model that switch it up with unique gel-filled ear cushions for improved fit and comfort. 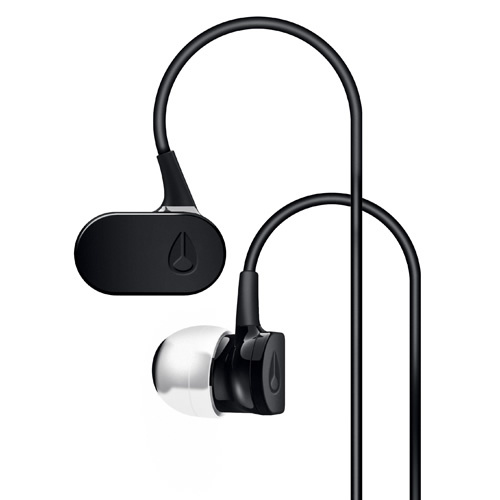 They’re also launching a premium dual-balanced armature headphone called the Micro Blaster Pro that features an all-ceramic construction and a design inspired by stage monitors.